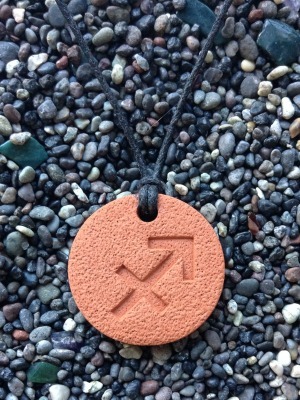 The Sagittarius Pendant measures 2.8 cm (1 1/8 in) across. Have given this pendant to several friends who were born with the sun in Sagittarius and both have like it very much. They are used to wear and also to hang in their offices.